A New View Windows & Doors, Inc.. 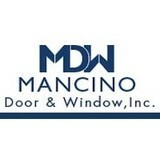 Window tinting for homes in Los Angeles, Orange County, and Riverside. Notes from the owner: Why Campbell? We are recognized as an industry leader in energy efficiency and fade protection for homes in Southern California. We have been awarded 3M’s Window Film Dealer of the Year distinction four times. We are a Platinum Level 3M dealer and large project certified. Established in 1988, we are a "brick and mortar" business headquartered in Orange County California, servicing all of Southern California. Thanks to a lot of happy clients and their referrals, we have grown to one of the largest in the nation. The Experience: You want it all, excellent product and service, a reasonable price, a professional and pain-free experience, and most of all, you want your window tinting to be just what you wanted, and to be very happy with the entire experience. I know this because, as a home owner myself, these are the things I want from a vendor when I need work done at my home. Over the past 25 years my team and I have worked tirelessly to hone the client experience, and you have our 100% satisfaction guarantee. The Product: Our specialized 3M Window Film products reduce fading of art, flooring and furnishings as well as reduce electricity use by blocking the sun's heat, which in turn lessens the demand for air conditioning. The EPA's Energy Star manual states that window film is "Your best opportunity to save on cooling and heating loads". Why 3M Window Film? Now that you have your home's decor just the way you love it, the final step is to protect that investment. Delicate wood, fabrics and art work can fade quickly in the sunlight and show noticeable change in a very short period of time. So how do you protect against fading without closing off your view? Campbell and 3M Window Film have got you covered. Our virtually clear window films block the damaging rays that cause fading, heat and glare problems in your home. You won't believe the difference window film can make! Home Security: We also have security solutions that transform your existing windows and doors into high-security versions, with minimal visible change. We do this with our specialized security laminates and with our Riot Glass™ and Campbell Security Screens™ solutions. Stop by or give us a call today. We look forward to speaking with you. Orange County Windows & Doors Showroom With 20+ Years of Experience! *Authorized Pella Business Accelerator Member* We are a locally owned, and operated company that values honesty, and integrity, and treats your home as if it were our own. Our services are customized to the individual project, paying close attention to the details of each project that we are involved with. We look forward to building long-term relationships with our clients, and guarantee your satisfaction! Galkos Construction is a family owned and operated general construction company specializing in residential home improvement throughout Southern California. 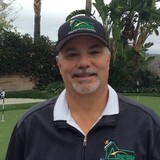 Founded by its President, Frank Gialketsis, the company is now in its third decade. Galkos Construction has always believed in the simple philosophy of providing the best quality and value in the industry. By following this premise, Galkos Construction is now one of the oldest and largest home improvement companies in the United States. We are a Hero certified company specializing in energy efficient upgrades to your home. Offering Cool Wall exterior coating, Owens Corning Cool Roof, Anlin energy efficient windows and doors, blown in insulation, and more. TSG Construction, Inc. is a family owned and operated company. 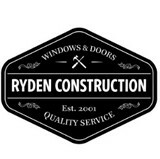 We specialize in windows and doors, patio covers, vinyl siding, wood look flooring and others areas of home remodeling. 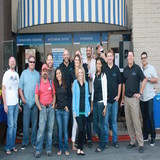 Republic Windows & Doors has been serving the entire Southern California area since 1992. 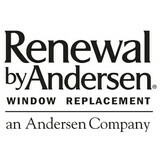 Find out why people call us the "Friendly Window Folks" when you call (866) 788-3646. We are a valued member of the Contractor's State License Board and Better Business Bureau with an A+ rating. Find out why we are consistently rated as a top window and door installer by Yelp! We take pride in being clean, honest and dependable! Whether you’re building a new Orange County home, remodeling an old one or just replacing a few windows that are past their prime, your window dealer in Orange County, CA will help you pick the right windows for your needs, home style and budget. Windows come in so many sizes and types that expert advice and direction is invaluable in helping you make the best decision. These pros can also help you with custom window designs that complement your space better than something ready-made. Lastly, if you are interested in doors with windows, these experts are also knowledgeable about sliding doors, French doors and other paned portals. Find a window dealer on Houzz. Narrow your search in the Professionals section of the website to Orange County, CA window dealers. You can also look through Orange County, CA photos to find examples of windows that you like, then contact the window professional who worked on them.